Oompa Loompa! 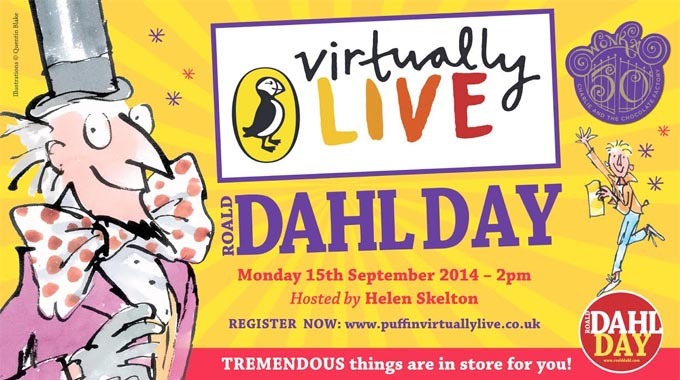 – It’s Roald Dahl Day! What’s your favourite Roald Dahl book? As an adult, mine was The Twits, but as a child, without hesitation, it had to be Charlie & The Chocolate Factory. 2014 is the 50th anniversary of Charlie and the Chocolate Factory and with Roald Dahl Day on Saturday 13th September, LittleBird are celebrating in whizzpopping style! Here’s just a taster of everything Roald Dahl that’s going on from our friends at Puffin Books and The Roald Dahl Museum and Story Centre (and if you keep reading you’ll find a fabulous competition to boot to win a family ticket to see the Charlie and the Chocolate Factory The Musical and other fantastic Roald Dahl goodies! Celebrate at the Roald Dahl Museum and Story Centre on Saturday 13th September between 11am – 5pm and enjoy a jam packed day of special events and activities. 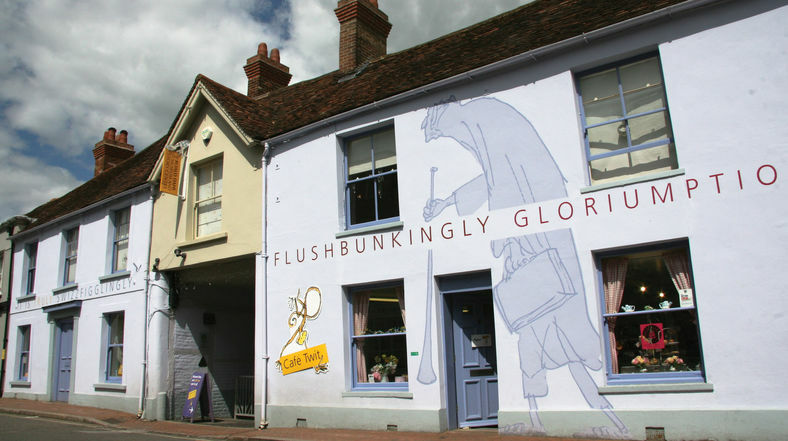 Discover fantabulous facts about Charlie and his creator at one of the Writing Hut Talks or Archive Tours, create a Wondercrump Wonka Bar, take a Museum Tour or a guided Village Trail with an Oompa-Loompa, or perhaps with Willy Wonka himself. Be mesmerised by some marvellous magic, buzzwangling balloon modelling and swishwiffling storytelling. Arrived dressed as a Roald Dahl character and be in with the chance of a prize, or let the face painter transform you when you get there. Click here for full details and ticket information. Hosted by former Blue Peter presenter Helen Skelton, the show will be streaming live to schools all around the world from the Theatre Royal, Drury Lane, home of the new musical Charlie and the Chocolate Factory. From a draw-along with Sir Quentin Blake to a global sing-along of Pure Imagination led by members of the cast! Plus tickle your taste buds with a Willy Wonka inspired cookery feature, send in your questions for the live Q&A with Roald Dahl expert Michael Rosen and look forward to a few surprises. Suitable from viewers aged 7 and up. Surely not? For when, where and how click here. It’s all in the name of Roald Dahl’s Mavellous Children’s charity. Find out how you can get involved here. 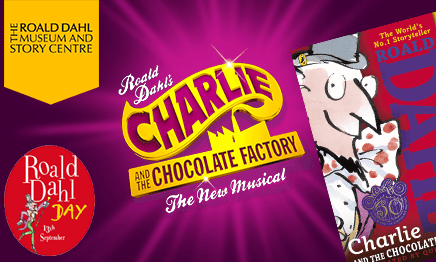 Celebrating 50 years of Charlie and the Chocolate Factory, treat the family to the stunning musical at Drury Lane Theatre Royal. 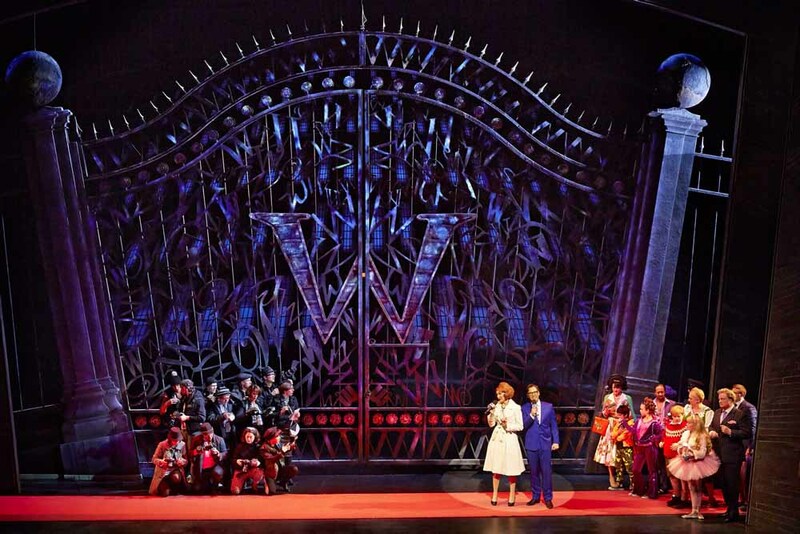 Directed by Academy Award winner Sam Mendes, Charlie and the Chocolate Factory bristles with stagecraft, ingenuity, glorious sets, and stunning new music. Award winning and the Critic’s Choice, it is quite simply ‘London’s Golden Ticket’! For details and show details, click here – an unmissable family treat! 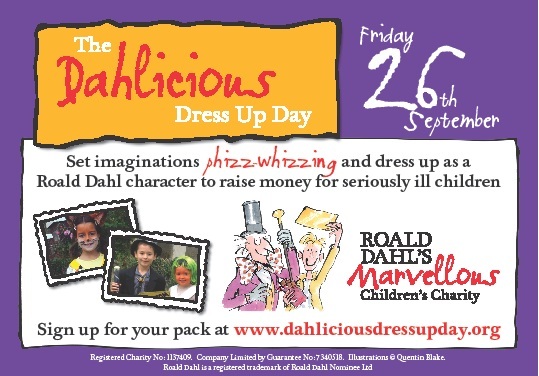 However you decide to celebrate Roald Dahl Day this September, we hope it is scrumdiddlyumptious and don’t forget to enter our whizz-popping competition! We have a family ticket to see Charlie & the Chocolate Factory The Musical at Theatre Royal Drury Lane in London, a family ticket to the Roald Dahl Museum and Story Centre plus a very special anniversary edition of Charlie and the Chocolate Factory that has a real golden ticket glittering beneath the front cover from our friends at Puffin.